Size : 18.3 x 19.4 mm. Weight : 2.96 grams. Grade : VF/gVF, dark brown patina with good surfaces. Obverse : Head of Jovian left, with DN IOVIANVS P F AVG around. 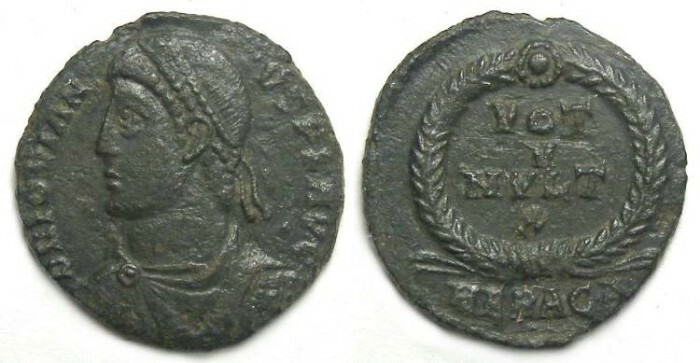 Reverse : VOT V MVLT X in two lines within a wreath, with the mint mark HERACA (Heraclea 1st officina) below.